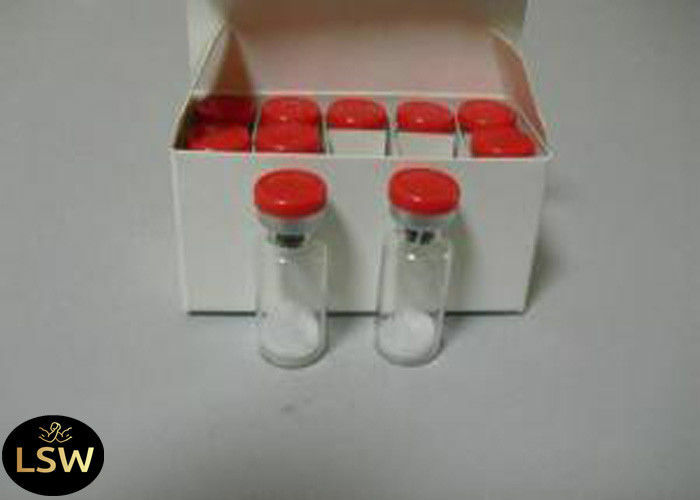 Melanotan II (also known as MT-II or MT-2) is an injectable peptide hormone used to promote tanning. MT-II works by stimulating alpha-melanocyte receptors, which promotes formation of melanin in response to sun exposure. When a substantial amount of MT-II has been taken within recent "memory" of the skin cells, an individual tans as if he were a genetically darker type. 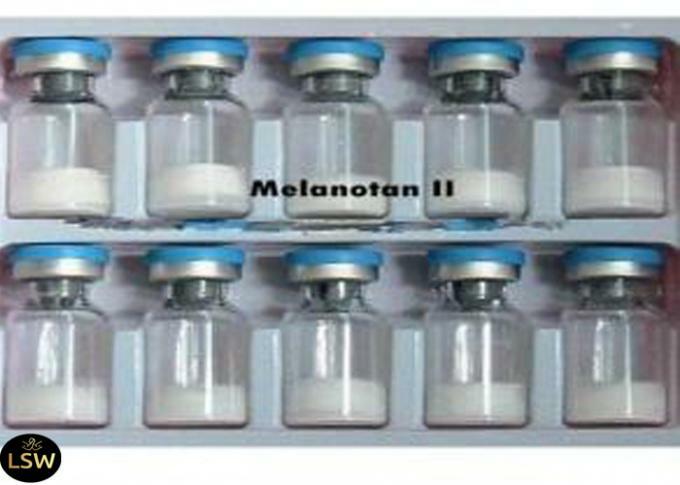 Melanotan II analog of alpha-melanocyte stimulating hormone (a-MSH). Melanotan peptides are safe and efficacious with growing long term data. Melanotan 2 is a freeze dried peptide sealed in a sterile multi-use vial. Tanning injections of synthetic potent a-MSH allow for development of photo-protective suntans in all skin types. Usage:Melanotan (MT) and Melanotan II (MT-II) are both analogs of the alpha-melanocyte stimulating hormone ( -MSH) which is produced within the pituitary gland. This peptide is a designed to stimulate the body's tanning response with minimal exposure to sunlight. This can be a wonderful way for those with fair to very fair skin to get tanned without having to spend weeks in the sun and going through the burn and heal process. By using MT2, users experience quicker tanning and and faster healing to damaged skin cells than would otherwise be possible. Because of this, it is especially suited to those who's skin is pale; those who are at greatest risk of developing skin cancer. The effects of Melanotan two revolve around nothing more than tanning and possible erectile dysfunction relief. A darker and deeper tan may be noticed in a few days (assuming one is also tanning) and should produce notable results in a few weeks. The longer one uses MT-2 the darker he will get. The effects of Melanotan II on erectile dysfunction take approximately 4-6 hours to take effect and should last 6-12 hours depending on individual response. Timing is important if used for this purpose. However, there are those that run small daily to every other day doses in order to provide a maintenance relief, but this can prove problematic to the skin if not careful. Melanotan II is provided in freeze-dried (lyophilized) form and reconstituted with bacteriostatic water. MT-2 may be injected subcutaneously or intramuscularly with subcutaneous being the most common and convenient. Melanotan II should be kept refrigerated at all times, and should be discarded in 30 days after reconstitution. 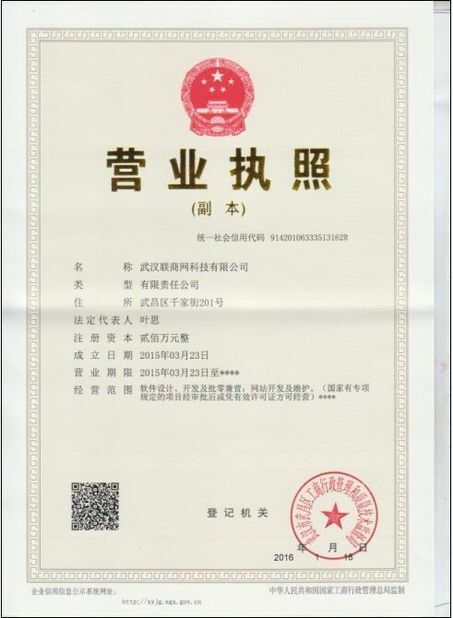 We specialize in this field for many years, our steroids and hormones exported to Overseas, to Europe, Africa, Asia and Americas and so on other country, and we have got very good feedback from our customers, and had Established long friendly relations of cooperation. We have Adequate stock, and can delivery quickly at the very day when receive the payment. We have special way could ship 0.01 kilo to 3.5 kilo products a time. We offer melting powder into liquid service. And ship the liquid in special bottles. Tell the package update ASAP, and will try best solve when customer encountered various.